Description: Perler Fused Bead Kits let you create fun, colorful designs and will keep everyone busy for hours. Young and old alike enjoy crafting with Beads. Each kit includes fun shapes, colorful beads, complete instructions and ironing papers. Pegboards and ironing sheets are reusable. 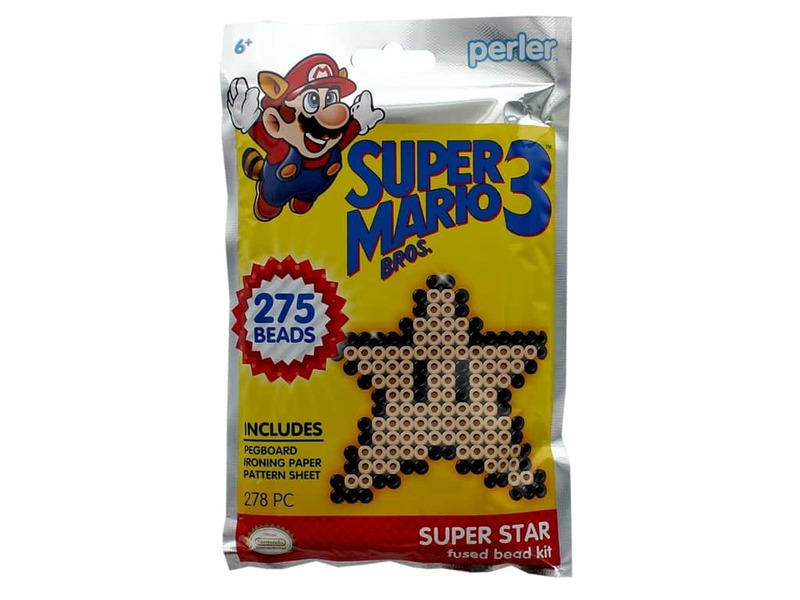 Trial 278 pc Super Mario Brothers 3 Super Star- Contains 275 beads, 1 pegboard, ironing paper, and pattern sheet instructions. Makes 1 super star. Recommended for ages 6 and up. Ask for an adult's help with fusing the beads.